For an inclining test on a cargo vessel a total load of 100t was required. 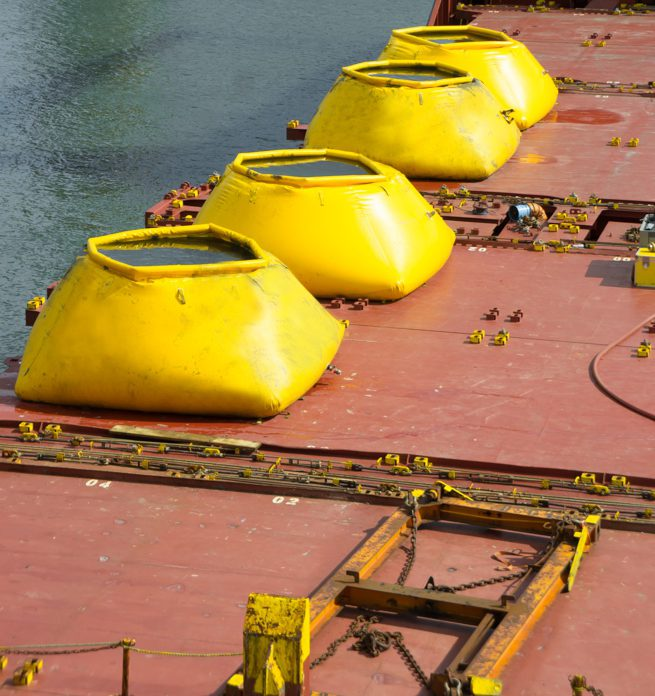 This load should be spread equally over a certain area of the hatch covers, and step by step moved across the deck, during night time, while all the cargo was removed from the vessel. As this was an urgent job it was not possible to arrange solid weights on such short notice. Water Weights arranged urgent delivery of 4 pcs 25-tonne flexidams from the Great Yarmouth (UK) depot. During the test, the bags were filled and then one-by-one drained moved across the deck and filled again. Once finished these same actions were also performed in the opposite direction. Because of some unexpected delays, the job took a bit more time than expected. For this reason, the Water Weights team had to train two crew members as responsible supervisors for the completion of the test.